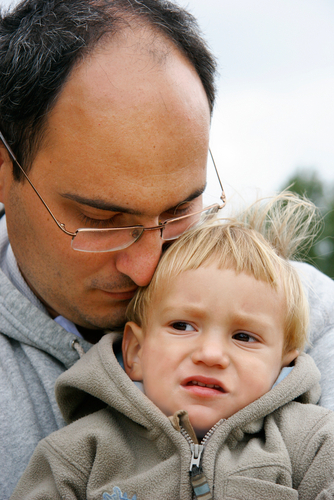 Children who live with their depressed fathers are more likely than their peers to have emotional and behavioral problems. That’s the finding of Michael Weitzman, M.D., a professor of pediatrics and psychiatry at New York University School of Medicine, and colleagues published in the November 7 Pediatrics. The researchers said the negative effects of maternal mental health problems on child health are well documented, but this is the first study to show that living with depressed fathers is independently associated with increased rates of children's emotional and behavior problems. Their study population was a representative sample of 22,000 children and their parents. “[T]his finding raises questions of great importance about how to educate the health care workforce, how to develop and implement strategies to facilitate identifying fathers with mental health problems, and how to develop referral systems and ways to reimburse for this vital work,” wrote Weitzman and colleagues. To read more about the association between maternal mental health and child behavior, see Psychiatric News.